.“´. :B L O G G I N G W O R K S H O P: .`´´. 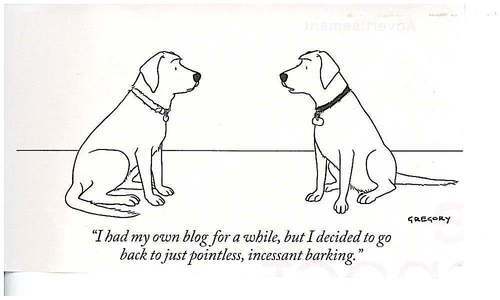 Blogging is important, for exhibitionism, self representation, bragging, but also for giving information, civic journalism or communicating helpful ideas. With blogging software you can quickly make your own website and change it’s content every day of the week without much efford. (so you e.g. don’t see the name “wordpress” in the address)…If you use one of the big blogging tools you can add all kinds of plugins and widgets like maps, tag clouds, chat rooms, etc..